Thank you thebrentinator24. I hadn't seen the shows in question and was confused why she would have credits here but not on the show itself. I can understand she voiced Sonya and Kobayashi at the same time, and maybe Sora Kashiwagi, but I don't think I recognized his voice as Tada and Nifuji. Competely different voices, those two. How is it so difficult for people to understand that she did the CHILD voices of these male characters. 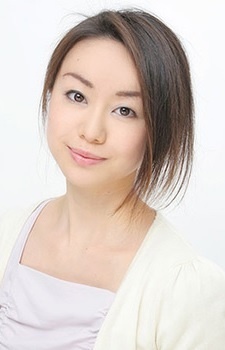 Does she actually look like she could produce Kakashi or Alibaba's main voices? Kakashi? Someone messing around the data, right? Proficient as both male and female voices. Alibaba VA was a woman, what in the hell? I like her voice a lot!